My first top pick is Jan Hahn's The Child. This is a variation of Pride & Prejudice where Darcy leaves England after Hunsford, meaning there was limited help to resolve the matter of Lydia's elopement. Stumbling across Elizabeth a few years later, he finds that the family is disgraced and Elizabeth has the care of 'the child'. Considering that she was beneath him a few years previously, she is now from a family which is not only disgraced, but is almost embracing that fact, by having the source of their disgrace as part of the family, rather than being correctly banished. This was such a romantic read and I loved it. The Events at Branxbourne by Caitlin Williams was another 5 star read for me. This was very different to the previous work I've read by this author, being quite an angsty story! 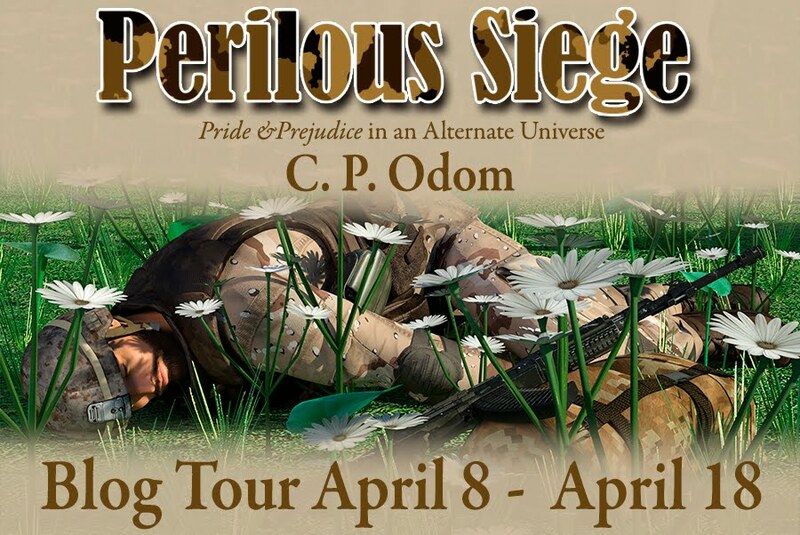 It varies the events of Pride & Prejudice. We open with a real car crash of a scene, where the former Miss Elizabeth Bennet, now married (to somebody who is NOT Darcy) is worried that she has killed her husband! She regrets the man she turned down, and he's just come back into her life. This is a really gripping story, which I found hard to put down. My next pick is Lover's Knot by Jenetta James. 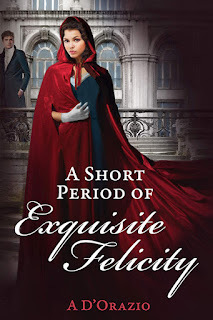 This is something a little different; Pride & Prejudice combined with a murder mystery with a dash of romance. 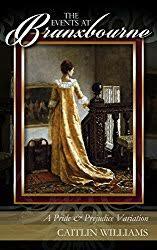 While Jane and Elizabeth are staying at Netherfield one of Bingley's footmen is murdered, leaving Darcy in the position where he cannot flee his growing attraction to the ineligible Miss Elizabeth Bennet and instead is left wondering whether she is safe from the madman on the loose. This was a 4½ star read for me, and something refreshingly different. 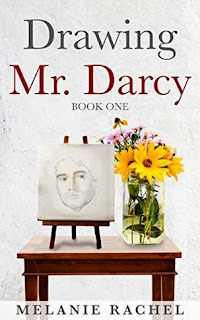 Drawing Mr Darcy: Sketching His Character by Melanie Rachel is the first part in a duology which sees Elizabeth having had a very different upbringing than in canon Pride & Prejudice. 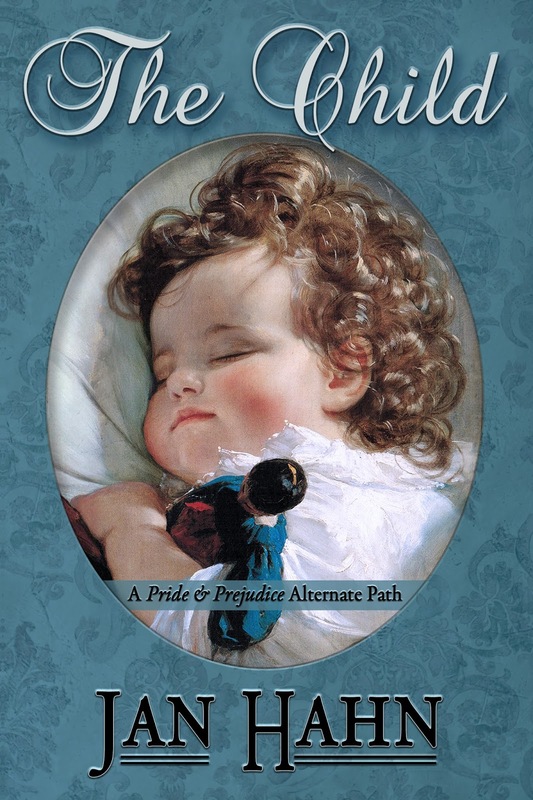 Here, she has been taken in, like Mansfield Park's Fanny Price, at the age of 10, to the household of extended family. Unlike Fanny, she is very much cherished and loved there. One of her accomplishments is that she is a talented artist. 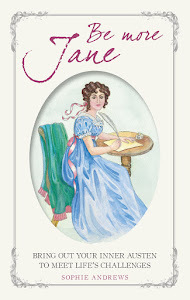 When she meets Mr Darcy she is already aware of him, as she is friends with Miss Darcy. So she is able to draw Mr Darcy's character from a wider perspective than in canon, and doesn't take his comments as much to heart. I hope to read the second part of this story, Drawing Mr Darcy: A Faithful Portrait, very soon! This was a 4½ star read for me. 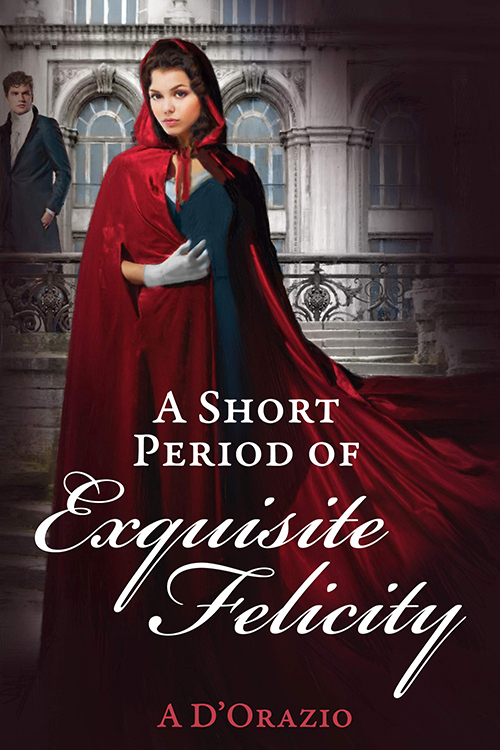 A Period of Exquisite Felicity by Amy D'Orazio is a Pride & Prejudice variation. In this, Elizabeth and Darcy got informally engaged, pending Mr Bennet's consent, up in Derbyshire, having done so before hearing the news about Lydia's elopement. After a very short 'period of exquisite felicity' Elizabeth broke off the engagement. Fast forward a year and she will be meeting with Mr Darcy again, at the Bingley's home of Netherfield.... This was a 4 star read for me. 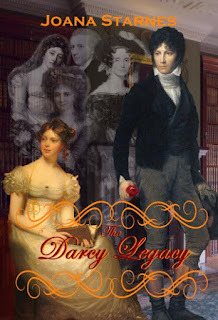 My last selection is The Darcy Legacy by Joana Starnes. This is a Pride & Prejudice variation with a supernatural twist, which sees us spending some time with the ghosts of Mr Darcy's parents! This was a light-hearted, enjoyable read. What do you think of my selection? Have you read any of these? I hope you had a good reading year in 2018. Did you read anything that blew your socks off? If so, please let me know in the comments. I have read all of them and they all make my too 10 list. They are all wonderful. 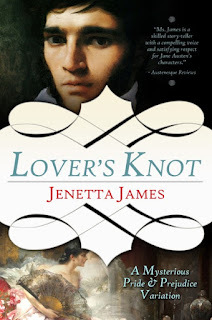 What august company--I'm thrilled that Drawing Mr. Darcy is included on this list, Ceri--thank you! I hope you had a fantastic Christmas, Ceri. So glad to hear you enjoyed The Events at Branxbourne. It was lovely to wake up and see your post, and to be named among some of my favourite writers too. Happy 2019. Off to the cinema today to see Mary Poppins Returns. I haven’t read Drawing Mr Darcy yet but it’s on my list. Great choices! I also love anything by Lory Lilian so her 2018 releases were among my favourites along with In Good Conscience by Cat Gardiner. In fact I could list at least a dozen more, I really don’t know how you manage to limit your selection. Happy New Year and much enthralling reading in 2019. I read and loved all these books. The author and their stories are at the top of my all time favorites list. I agree with Glynis about those authors and their books being on the top list, too. Happy New Year. I’ve read all but one of these (The Events at Branxbourne, and that one is on my Kindle), which is pretty shocking since I feel like I hardly read anything in 2018! Great picks. :) I also enjoyed Nicole Clarkston’s London Holiday and Elizabeth Adams’ The 26th of November. These were all so great! Fantastic picks! Great line up of top picks, Ceri! I have read and loved all but two, but hope to get to them in 2019. I have fallen in my reading in the past 6 months but hope to get back on track for 2019. Here's hoping your major reno gets done soon and would love to see some pictures when all is completed! I love your list of favorites, Ceri! Definitely some wonderful choices! There is only 1 I haven't read and I definitely will be adding it to my wishlist! I am so glad you were able to read and share as much as you were able to this past year -especially with so much going on at home and work for you! Thank you for all you do and for sharing your blog with us all! Wishing you a happy and healthy 2019 - with more reading time!! Great list, Ceri. I just bought Caitlin's book and cannot wait to start it. I've read all but Melanie's, and it's only the length that's holding me back. I was always intrigued by it, from before publication through the reveal of my love, Leon, on the cover. This makes me feel like I'm late on the draw! Great choices, Ceri! How exciting for The Child to be one of your favorite reads in 2018, Ceri! Thank you so much. Your support means the world to me. Thanks so much for including 'The Darcy Legacy' on your 2018 favourite reads, Ceri! I'm so happy you liked it! Loved your whole list, such wonderful books. 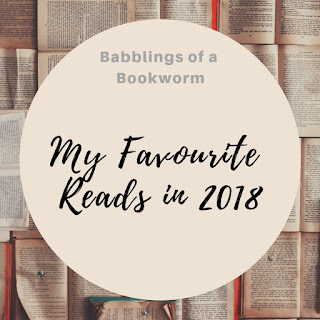 I've read and loved all of them except Melanie Rachel's 'Drawing Mr Darcy' set (to be remedied asap). Sorry this comes so late. We were away for New Year with friends who love to be as far away from the busy world as possible, so the internet connection was a bit patchy. I could just get on FB once, then the app kept switching off. Still worth it though, the scenery was amazing. Have a wonderful New Year and all the best!